Happy Monday! Did you all have a great weekend? I was busy finishing my One Room Challenge, a series where a group of bloggers make over a room in 6 weeks, posting weekly updates. It sounds easy, but for this patient bargain hunter, it really forced me to make design decisions quickly, which is not something I'm used to. However, there's no better motivation to finish a room fast when the clock is ticking! 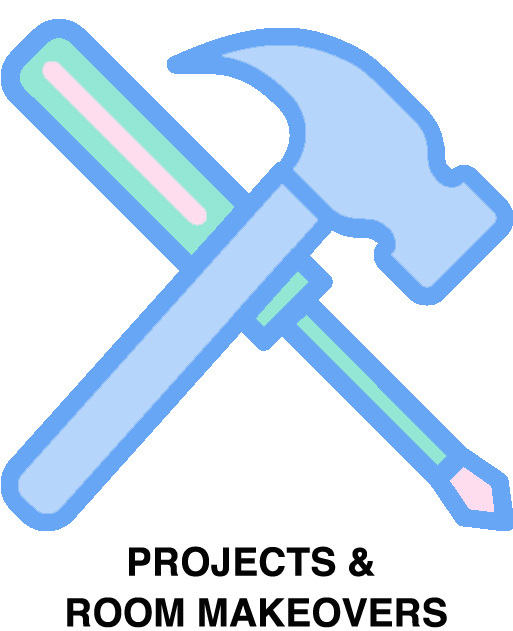 Now that my One Room Challenge makeover is revealed, I'm finally back in my DIY groove and have some fun projects to share with you over the next couple months! Think lots of plaid, some feathers and jewelry. I'm expanding my DIY skills and dabbling into fashion so that's been a fun challenge. Today's project originated when I was trying to come up with DIY light fixtures ideas for the One Room Challenge. I was working with an ugly light and I wasn't about to rewire a whole new fixture with existing wires that are frayed, dating back to 1906 when the house was built. I know when to leave it to the experts, if you know what I mean. So I brainstormed ideas that would camouflage the light without rewiring and voila! A win win for everyone. This is especially great for renters if you can't (or won't) update fixtures, but you want something a little prettier than the standard light fixture. 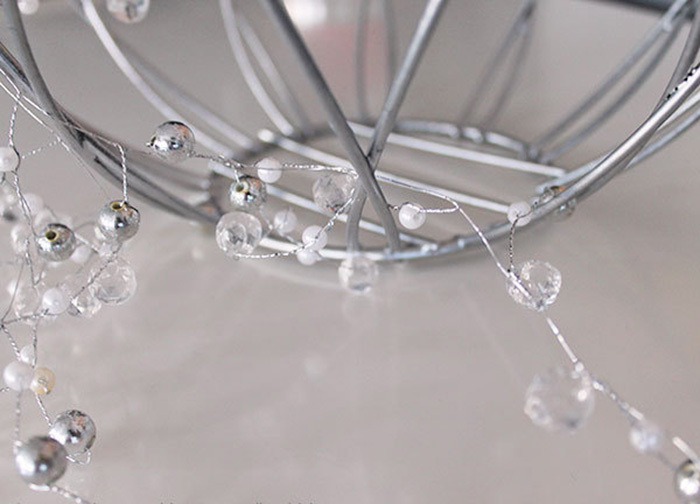 I used a hanging plant basket and some crystal wire garlands from the holiday decor aisle in the craft store to create my own DIY chandelier light fixture! Trust me, it looks way more complicated than it actually is. Remove the hanging chains and coconut filler from the plant basket, and spray-paint it silver. 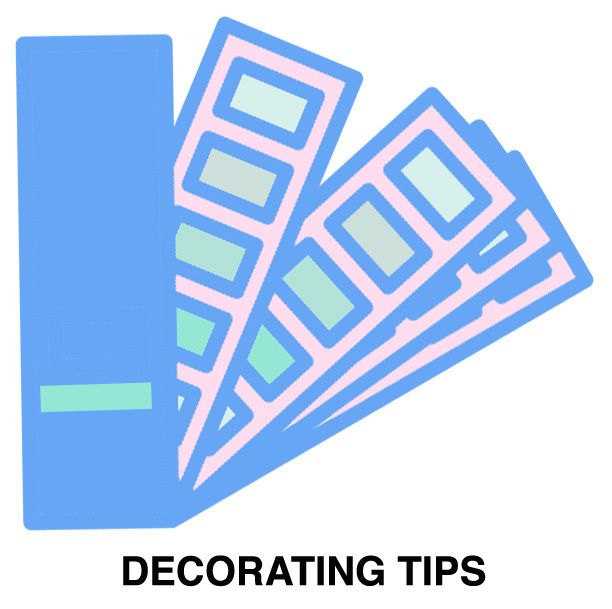 While the paint is drying, lay out the garlands so you're ready to work. Once the paint is dry, take the end of a garland strand, and wrap it around the top edge of the basket, securing it in place. 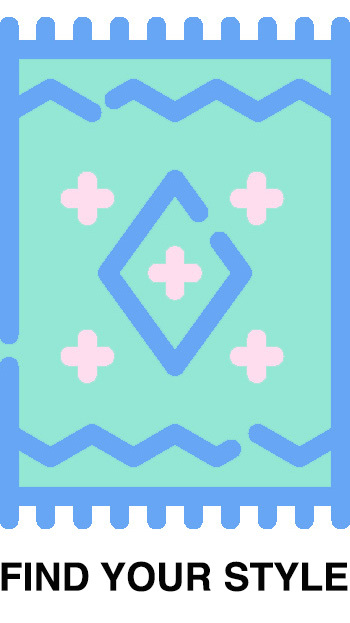 Because the garland is wire, you can easily bend it so it stays put. Using the same garland, weave it through the basket, going over and under the basket wires. If your garland is made of fine wire as mine was, chances are it will tangle easily, so don't fight it too much and just let it cluster. The goal is to fill the gaps between the basket wires. I found it easier to not worry about weaving it in a certain pattern and just let the wires fill the spaces. I worked in sections, going around the basket. Continue with step 2 until the basket is completely covered with all the garlands, with no gaping holes. 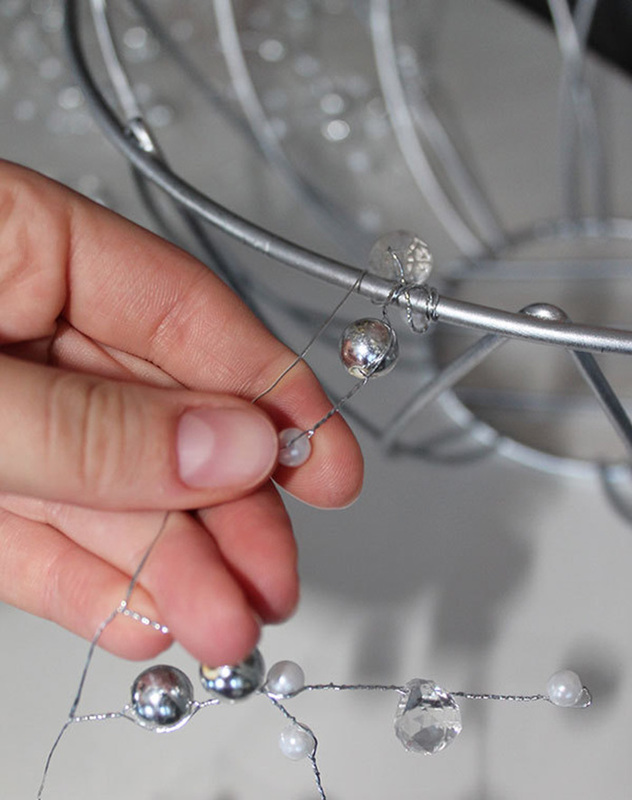 The garland wire bends easily so you can tuck pieces away and move them around to fill holes. 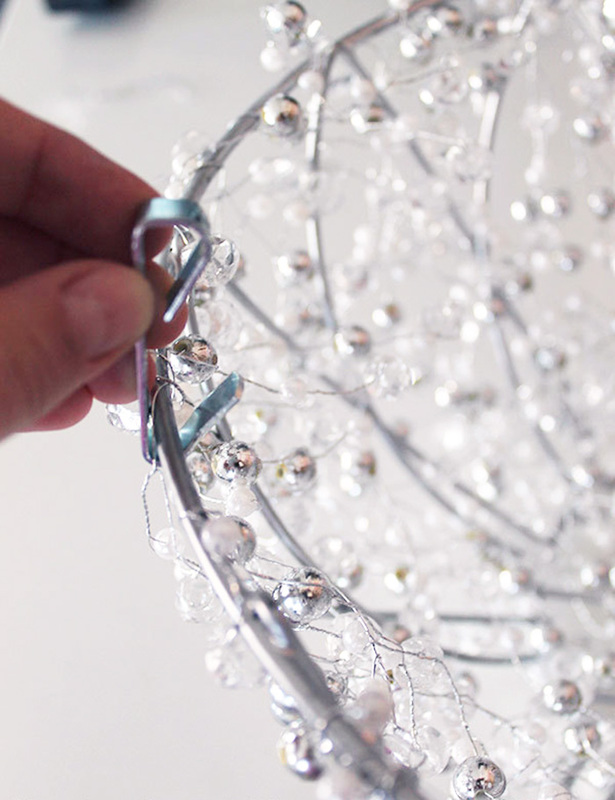 Once you've finished stringing the garlands, you're ready to hang your new chandelier. Take three hooks, and attach them to the top rim of the basket. Hook the other ends around the lip of the light fixture. You could also experiment with paper clips if you can't find the same clips that I used. For more photos of the chandelier in action and to see the final reveal of my One Room Challenge guest room makeover, click here.